Sipping warm matcha — made with finely crushed green tea leaves — can be comforting on a cold day. But this superfood is now finding its way into smoothie and desserts, and it’s become an innovative mixology ingredient. Here are nine matcha cocktails at restaurants ranging from scene-y E&O Kitchen and Bar for a lively friends night out to Café ArtScience, which is ideal for a group dinner with adventurous eaters (and their iPhones). 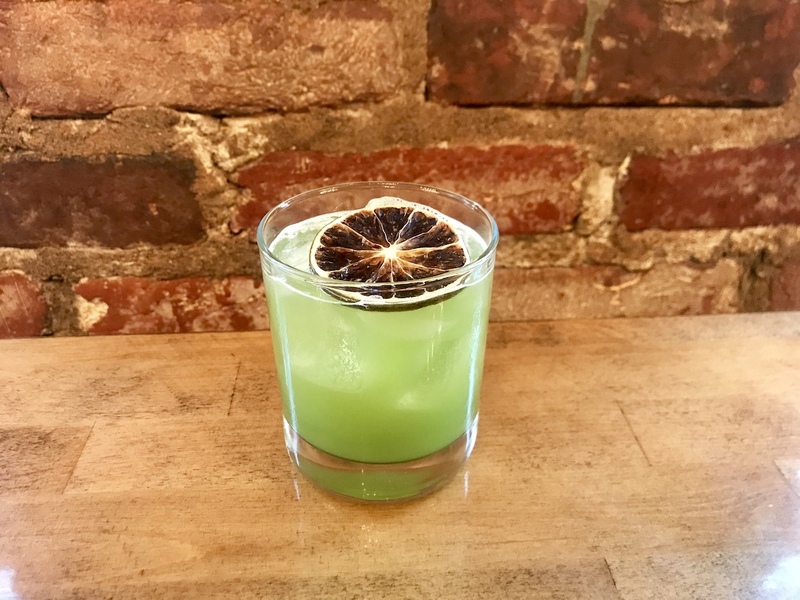 Served in a tulip snifter, this refreshing libation features Hangar 1 Buddha’s Hand Citron vodka, Mata Hari absinthe, matcha green tea powder, Thai basil, fresh lime juice, and simple syrup. Make a reservation at E&O Kitchen and Bar. El Sueño Verde at MXDC, Washington, D.C. 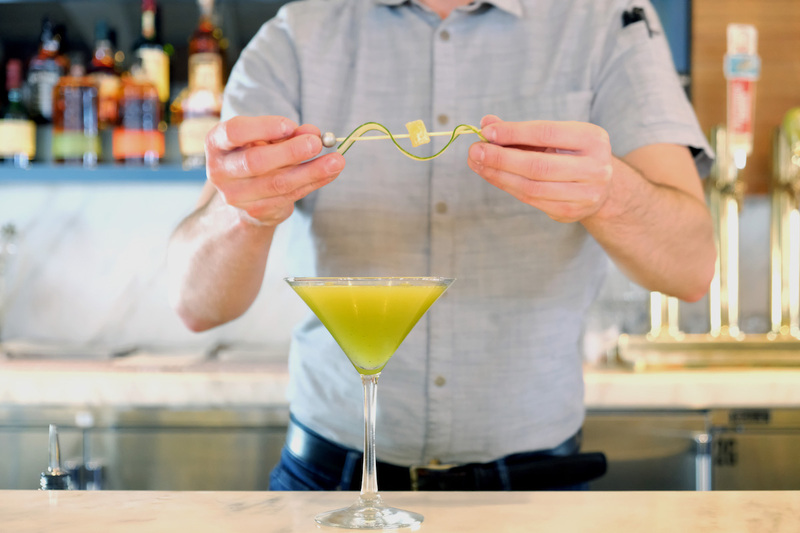 Available at celebrity chef Todd English’s modern Mexican cocina, this twist on the classic margarita (Spanish for “the Green Dream”) boasts Tequila Blanco, housemade lemongrass matcha syrup, and fresh lime juice. Make a reservation at MXDC. Bar director and partner Tenzin Samdo names his cocktails for endangered species from around the world. 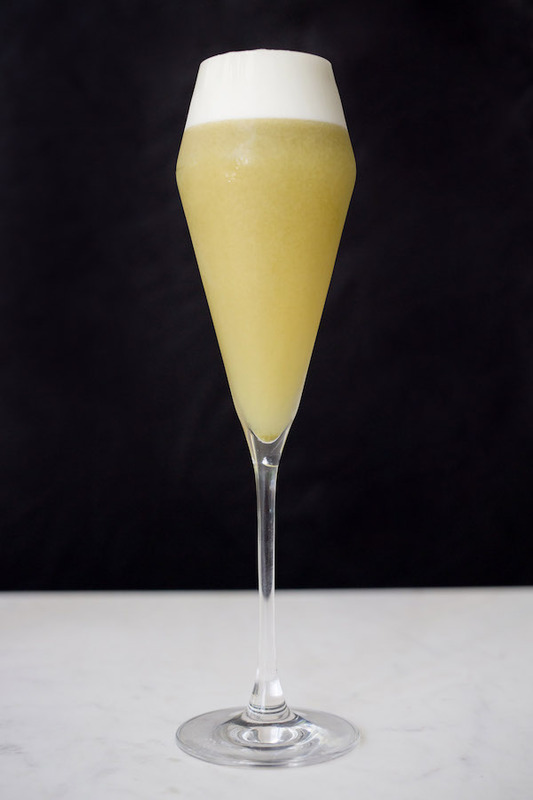 The Titi Monkey pays homage to a species of monkey found in Brazil, and is made with egg white, matcha, pisco, sandalwood, orange peel, lemon, and sugarcane,. Make a reservation at Café ArtScience. Riffing on a Tom Collins, the Matched Set uses Ketel 1 vodka that has been fat-washed with coconut oil. 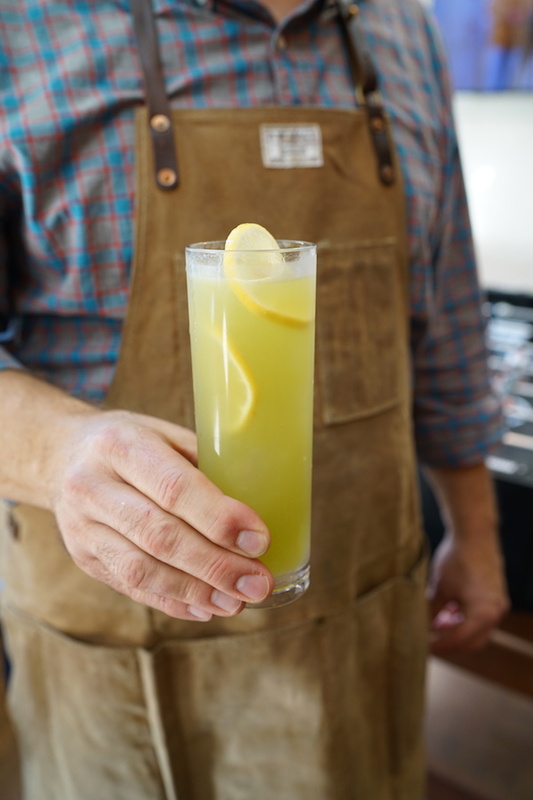 House-made match syrup, fresh lemon juice, seltzer, and a lemon wheel add the finishing touches. Make a reservation at 4 Saints. 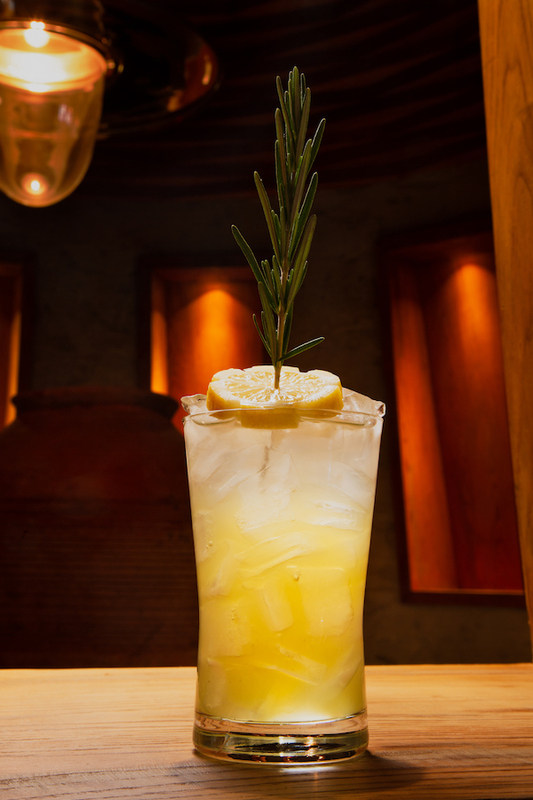 Mitilini Lemon Mastic Tears, lemon matcha sour, rosemary, Greek sea salt, and Fever Tree club soda give Table 2 a distinctive mix of citrus and herbal flavors. Make a reservation at Estiatorio Milos-The Cosmopolitan of Las Vegas. 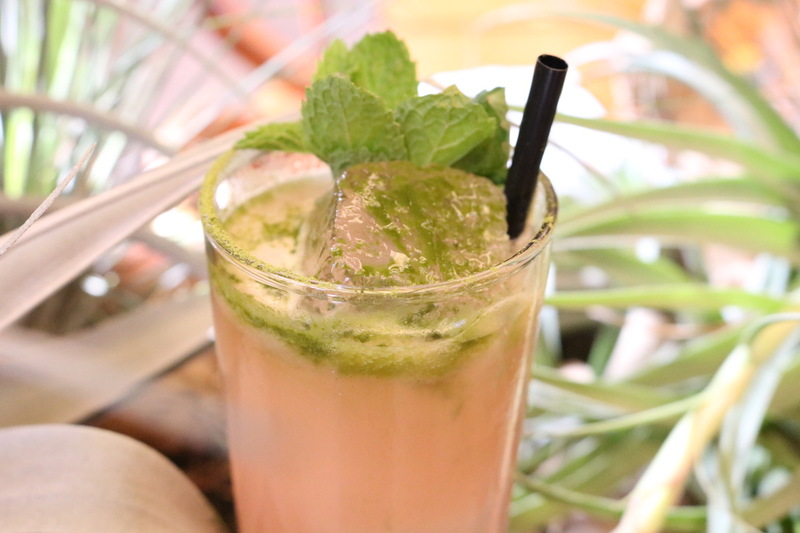 Matcha green tea, fresh cucumber, Tito’s vodka, and ginger liqueur converge in this savory sip. Make a reservation at Laurel Point. 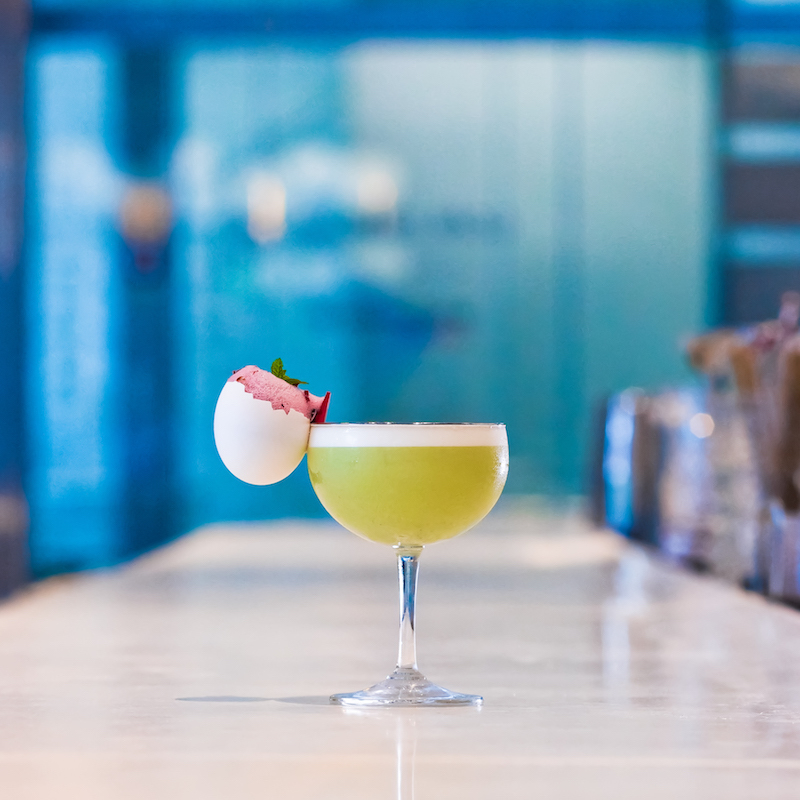 This cleverly named cocktail uses vodka, sake, matcha tea, egg whites, and pineapple. Make a reservation at Honey Salt. 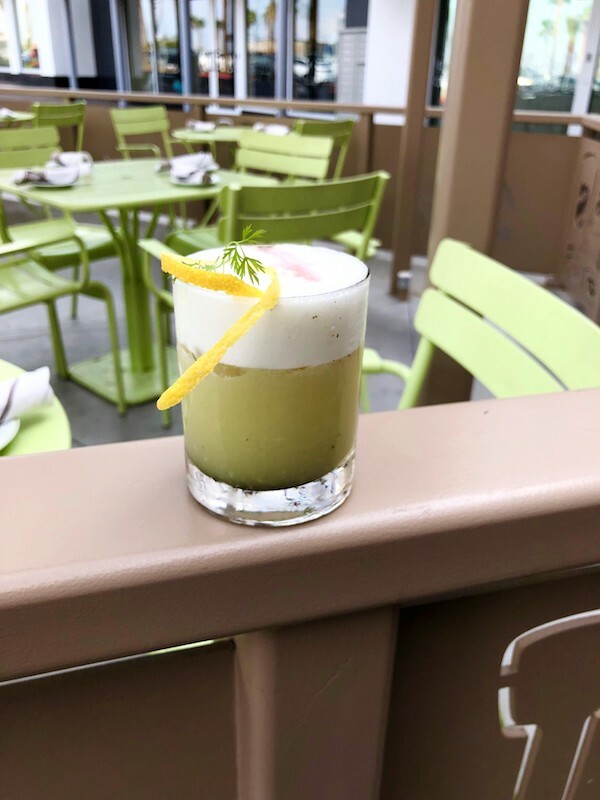 Going Green features an elegant combination of Monkey Shoulder scotch, Velvet Falernum, pineapple, lemon, matcha tea, and egg white. Make a reservation at Fine China at the Statler. Vodka, Salers aperitif, ginger beer, and matcha dust create a cocktail with the breezy color scheme of a Lilly Pulitzer dress. Make a reservation at Hinoki & the Bird. 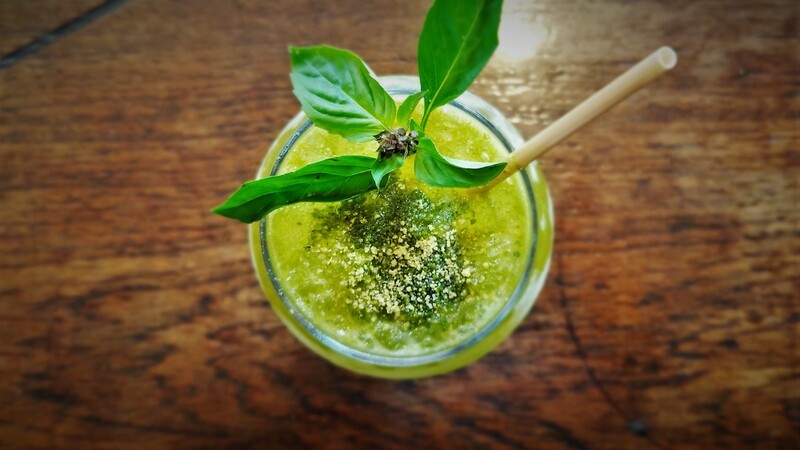 Have you tried any cocktails or dishes with matcha Share what you’ve been sipping here or over on Facebook, Instagram, Pinterest, or Twitter. And, remember to snap + share your #dishpics with us on Instagram for a chance to win in our weekly giveaway. Susan Johnston Taylor is an Austin-based freelance writer who’s covered food and business for publications including The Boston Globe, Civil Eats, Entrepreneur, Fast Company, Fresh Cup, and Pizza Today. Follow her @UrbanMuseWriter. Photo credits: Pat Ford (Cafe ArtScience).